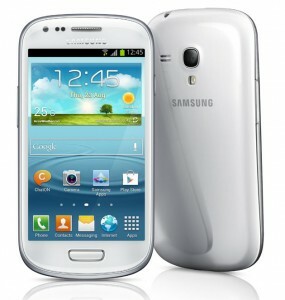 When the company Samsung has announced this Samsung Galaxy S III mini model, all of it was great, except the price. Characteristics significantly inferior are to top model original Galaxy S III, were common only in design and interface. And here we brought you complete review of this Samsung Galaxy S III mini smartphone which will tell the real worth of this smartphone to you and you may choose if it will suite your needs and standard. Given the fact that with each new device Samsung increasingly blurs the line separating one from another model, and here is Samsung Galaxy S III mini which looks like Samsung Galaxy S Duos. 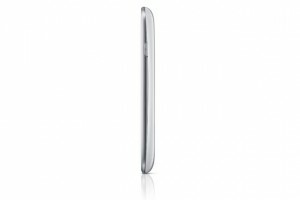 But it looks more like the S III, a distinguished and S III, only by the presence of label in the upper part of the body of the latter. However, if we consider the device from all sides, actually has much in common. On its design sides, form the rim around the lens the main camera, the location of the recess to remove the back panel, Micro-USB-connector, a form of hardware keys and mesh earpiece and, in fact, the materials used. Of differences: different location proximity sensors, lighting, front camera, flash, and, of course – the size. If the original has a display with a diagonal of 4.8″ and here the smaller version Samsung Galaxy S III mini is carrying 4″ display. Another feature of unifying models, there really should immediately make a correction – this applies to most of the devices Samsung, is the build quality – it is very good. Gorilla Glass coated oleophobic layer, which should prevent the appearance of fingerprints. 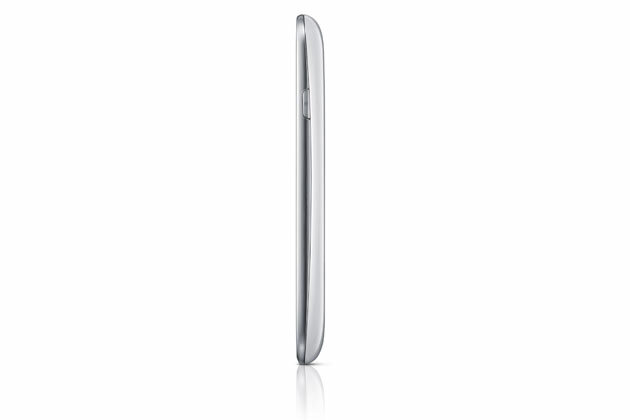 The rear access panel of Samsung Galaxy S III mini is made in the same style as in the Samsung Galaxy S III, that is, of a glossy plastic. It quickly gets scratched and greasy stains from the fingers. If you look under the access panel can detect modest battery capacity of 1500 mA / h, which is hidden under the memory card slot, a slot for SIM-card mini usual format and in fact everything. 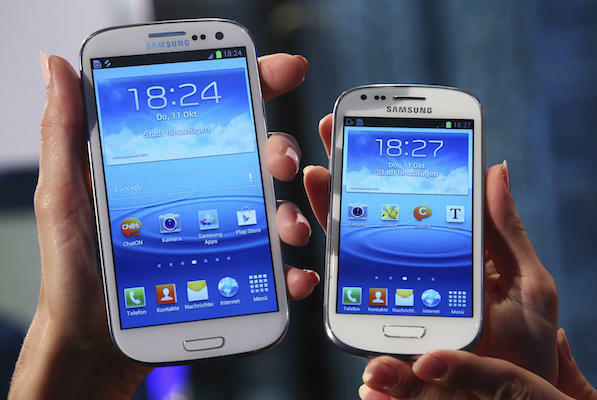 Due to the small dimensions of the Samsung Galaxy S III mini, this smartphone in your hand is convenient. The power button is located on the right side wall, while the opposite is not the volume rocker. Frame on each side of the display is much smaller devices with such a diagonal, but here, as in the latest LG smartphone in white body, went to the trick – between the edge of the frame and the display is a little distance on it that when turned off, the display backlighting. Samsung Galaxy S III mini is one of the few devices running on the operating system of Android 4.1.1 out of the box. Coupled with the current (not counting Android 4.2, which is still available only in devices Nexus) smartphone operating system in the latest version of the original shell – Nature UX – the same as in the Samsung Galaxy S III. With this smartphone user does get a small copy of the original interface. The only thing we did not seem very comfortable in Samsung Galaxy S III mini – the keyboard. Maybe it’s the fact that we are used to devices with larger screen diagonal. Given the fact that the smartphone is designed for youth and women, this deficiency cannot be considered serious. There were no complaints and the quality of communication. Spoken and ringing loud speakers, but with a musical talent is not so clear. Issued sound just a little “easier” of what we heard in the HTC Desire SV, but with the volume of their parity. And here and there its level is insufficient to enjoy music on the subway with no extraneous noise from the outside, even with the availability of good headphones plugs. Even before the advent of official information, rumors circulated that the smartphone Samsung Galaxy S III mini will be installed with quad core, high capacity battery and other amenities that can be of interest not only of the young people, but those users who value the performance. The reality was somewhat different. In Samsung Galaxy S III mini uses a system-on-chip NovaThor U8420 dual-core 1 GHz processor, graphics chip Mali-400 MP, and 1 GB of RAM. All this allows the smartphone to show good results in the performance tests. The main thing that the battery of 1500 mA / h in Samsung Galaxy S III mini smartphone has shown excellent results. At maximum load it can perform for 4.5 hours. The user can expect to 8 hours of video or two or three days with less intensity, including a few dozen minutes a day for an hour listening to music and work in 3G-networks. The smartphone Samsung Galaxy S III mini is carrying Super AMOLED-matrix with all its consequences, including the reference black, saturated colors, good viewing angles and PenTile. To see the latter, the microscope is not needed. A person with good vision sees it from the usual distance. Somewhat surprised no automatic brightness control, because physically, judging by the number of holes on the case, the light sensor is present. Camera quality is comparable to the first generation of a family of Galaxy S, and the actual capabilities of the camera are the same. Maximum resolution images – 5 MP, the maximum resolution of the recorded video – 1280×720. 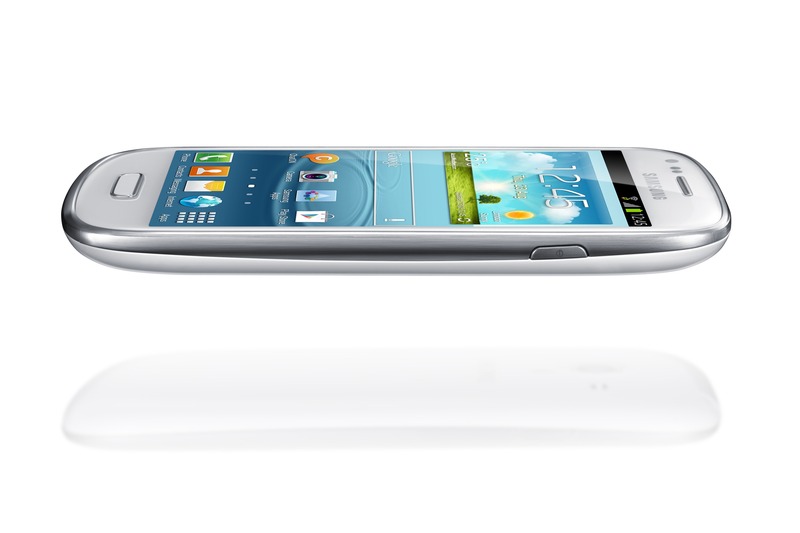 The same characteristics are presents in flagship bada-smartphones – Samsung Wave III. Interestingly, these three devices are not only similar to the camera module, but the type of display, including the diagonal and resolution. Probably so, Samsung decided to further the life of another “oldies”, collecting unsold parts and placed them all in the new building. 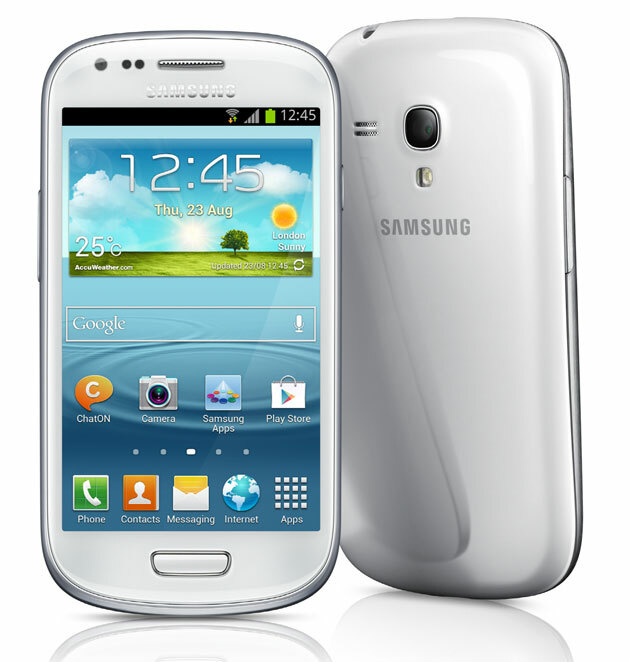 Despite all the advantages, familiarity with the Samsung Galaxy S III mini has not opened to us the secret of such a high price. Perhaps, Samsung is now so well entrenched in the market, that now only remains that increase the perception of its brand as a manufacturer of expensive, but high-quality equipment. With this the smartphone’s all good. It collected all right, has some good features and is ready to please the owner regarding considerable running time. And the camera will not disappoint, if not to expect its results comparable to the original. But the most important thing is that all of this together leaves a good impression and it is likely that as soon as the price of it down to earth. This was all regarding the Samsung Galaxy S III mini smartphones and its review, you may choose a perfect device.